When the General Assembly passed the first medical marijuana law in state history last year it was immediately criticized for being a pipe dream, pun intended. The criticisms proved entirely warranted, as Maryland is no closer to a functioning medical marijuana program than it was before the governor signed the bill into law. The current program is filled with red tape including overbearing regulation and reporting requirements, and it limits medical marijuana providers to research hospitals. Hospitals that are forced to provide data and reports for something they already know, that marijuana does in fact serve a medical purpose. As a result of the convoluted web of regulations exactly zero research hospitals have signed on, and the program as gone nowhere since October 1st. But despite never getting off the ground, last year’s medical marijuana law may have been the shot in the arm our state needed to build momentum toward enacting a law that is reasonably likely to function. It might be giving lawmakers too much credit to say this was their intended purpose, to pass a law just for the sake of putting something including the words marijuana and legal on the books in order to start the conversation. On the other hand, this week we received the first glimpse from lawmakers that Maryland really may be moving toward providing legal pot to those who need it, and now a plan dating back to last year actually seems plausible. The glimpse came in the form of a landslide vote in the state senate to dramatically overhaul last year’s medical marijuana law. By a margin of 45-1, the state senate passed a bill that completely does away with the requirement that medical marijuana be limited to research hospitals. If Senate Bill 923 becomes law a patient can go directly to his or her doctor for a pot prescription. There are still regulations on both the patient and doctor side of the equation, but the differences between this year’s version and last year’s is night and day. 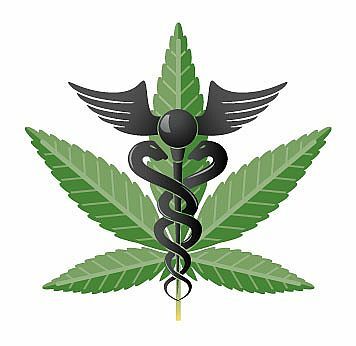 Doctors who wish to prescribe medical pot must register and be qualified by the Medical Marijuana Commission, and provide yearly updates on the amount of prescriptions issued, along with the types of ailments and the hometowns of the patients. The patients must have a bona fide medical relationship with the doctor, be at least 18 years old and have their application for medical pot approved by the commission as well. There is still language in the bill about the specific types of ailments that are acceptable for treatment by marijuana, but this version of the bill includes a catchall, which states the commission may approve applications that include any other condition that is severe and resistant to conventional medicine if the symptoms reasonably can be expected to be relieved by medical marijuana. This catchall is key, as it opens the door to any patient regardless of having an officially diagnosed disease. The senate bill also includes a provision that growers and dispensaries must be separate entities, and there must be a minimum of 94 dispensaries across the state. These provisions are aimed at reducing the risk of monopolies and price fixing. The Blog will definitely follow the progress of this senate bill, which is scheduled for a trip to a bicameral conference committee where the house will join in on the discussion. Look for a follow up article in the next few weeks. Benjamin Herbst is a Maryland drug crimes lawyer who specializes in marijuana possession and distribution defense. Contact Benjamin anytime for a free consultation about your case. Maryland Senate Passes Overhaul Of State’s Medical Marijuana Law, huffingtonpost.com. Senate panel advances new medical marijuana plan, baltimoresun.com.